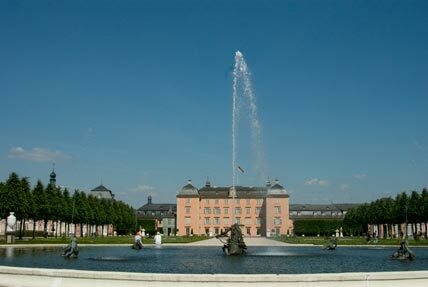 Schwetzingen is famous for its excellent asparagus, its palace and palace gardens and naturally also for its Music Festival. The photo above is the view from the front courtyard of the palace onto the Palace Square where you can find numerous attractive cafes and restaurants. 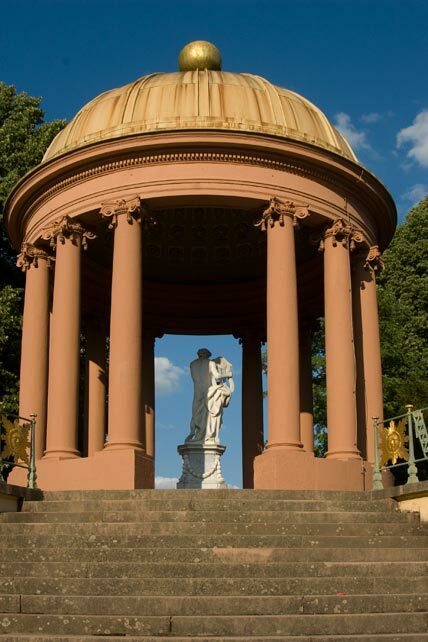 The palace is definitely worth a visit – it's situated only a few kilometers outside Heidelberg – and especially the palace gardens. The palace gardens have not been continually altered over the years to suit the latest fashions but are still in the same state they were in when originally planned and designed, having simply matured over the years. 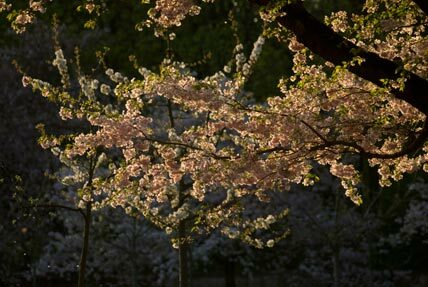 Schwetzingen palace gardens contain the largest area of Japanese cherry trees outside Japan – a sea of blossoms which is even worthwhile coming from far away to see. Unfortunately you're not allowed to take photos inside the palace. 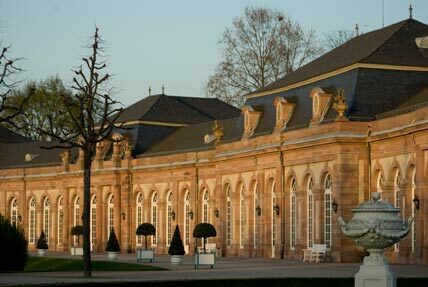 That's why there are no pictures of the interior of the palace here. 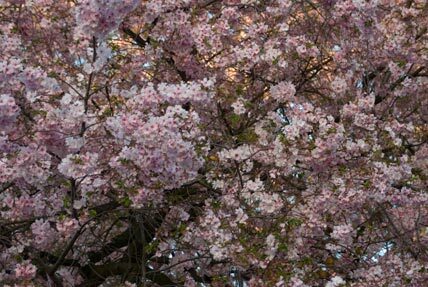 But photos can be taken in the park, as long as it is not for commercial purposes. The rambling palace gardens are charming not only because of the plants there but because of the small buildings scattered throughout the grounds. Here is the Apollo Temple. 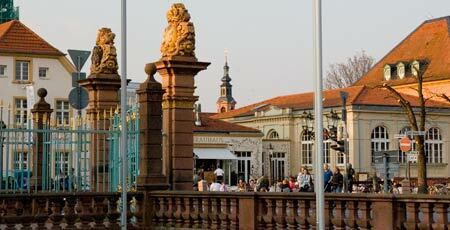 Schwetzingen is a recreational center, even for people from Heidelberg. Bellamar, the swimming pool and complex, contributes a great deal to this. Google maps show the magnificent grounds of the Palace Gardens from above.